Do you know that phrase that says that all roads lead to Rome? In Tenerife something similar happens, except that the destination is not Rome but the third largest volcano in the world and the highest peak in Spain: Mount Teide. Discover how to get to Mount Teide by car and what you can do on the way to the volcano. We have prepared this infographic with the 4 roads that lead to Mount Teide and some points of interest. It shows the National Park along with the 4 routes which give you access to Mount Teide by car and the main must-see sites. If you like what you see and you want to learn more, we invite you to download our free “Guide of routes to Teide”, where we have selected everything you need to know to make the most of your visit to Mount Teide. Tenerife boasts a great diversity of climates, known by locals as ‘microclimates’, so its landscapes are very diverse. On the island, it is possible to behold the green mountains of the northern slope and the arid landscapes of the south. And in winter, it is also possible to enjoy the sun and the beach with views of the snow-covered Mount Teide. Isn’t it great? Now that you have decided to drive up Mount Teide on your holiday in Tenerife, the time has come to plan your trip by road to the National Park. We want to help you decide which road to choose to go up Mount Teide. Because the journey to a destination is as important as the destination itself. 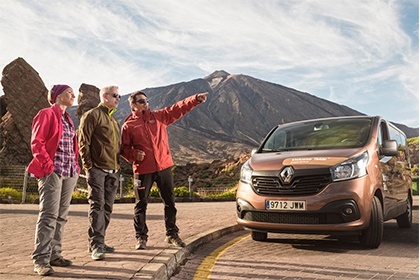 It’s all about enjoying your visit to the most visited National Park in Europe from the first minute, the moment you get in the car, start the engine and embark on your volcanic adventure. Visiting Tenerife has many advantages. As we have already mentioned, you can spend a day lying on the beach and relaxing under the warm rays of the sun while staring at the omnipresent peak of Mount Teide. Sea and mountains in a single view. Isn’t it amazing? Another great advantage of Tenerife is that the distances are short. In fact, the distance to Teide from the main points of the island ranges between 45 and 64 km, which means that to go up you can use one road whose main access is near the area where you are staying, and to go back you can use another road, allowing you to enjoy completely different landscapes, and return to the starting point on the same day. 4 geographical points—4 totally different routes leading to the same destination: the highest peak in Spain with its impressive views of Tenerife and some of the neighbouring islands. Find on the list below the area of Tenerife where you are staying to check which route is the one closest to you. And consult the infographic for some of the main points of interest to enjoy the journey! If you stay in the Los Gigantes area, go up Mount Teide via Chío. It’s only a 52 km drive and along the road, you can enjoy the Chinyero volcano, responsible for Tenerife's last volcanic eruption in 1909. If you stay in the Los Cristianos area, go up Mount Teide via Arona and Vilafor. It’s only a 47 km drive and you can make an en-route stop to visit the highest town in Spain. 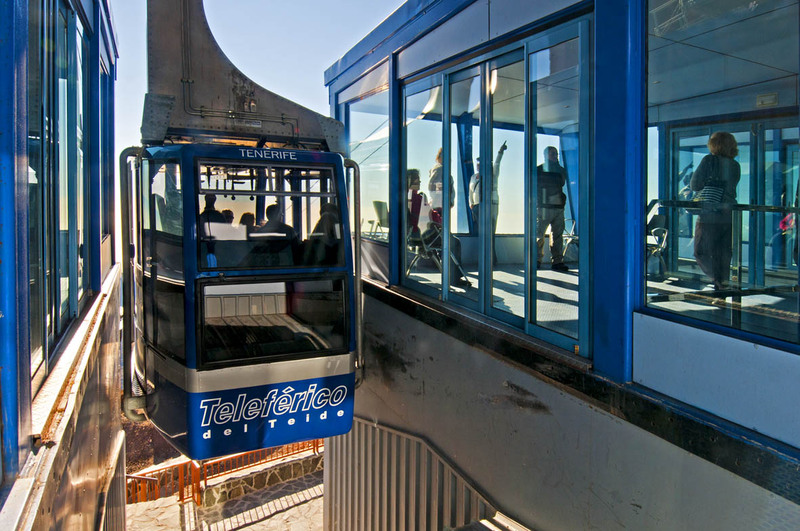 If you stay in the metropolitan area of Santa Cruz and La Laguna, go up Mount Teide via La Esperanza. It is the longest route, between 55 and 64 km, but it is also the ideal route to behold the phenomenon known as the ‘sea of clouds’. If you stay in the Puerto de la Cruz area, go up Mount Teide via La Orotava. It’s only a 45 km drive. You can stop off and stroll through La Orotava—a historic town straight out of another era—while enjoying the 17th and 18th century Canary Island architecture. Tenerife is full of contrasts, and so are the roads leading to Teide. They are not an exception. And remember: whichever route you choose, the most important thing is to enjoy the road. 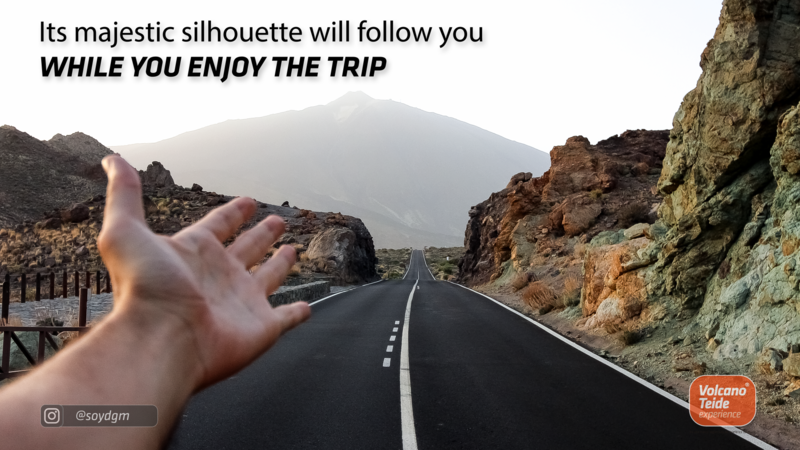 The majestic silhouette of Mount Teide will accompany you at all times, regardless of the road you choose. Did you find this content useful? Your opinion matters to us. Leave us a comment!